Times are not easy for Italians. The word on everyone’s lips is “austerity.” Afraid of falling into an abyss like in Greece, the fear is emphasized by the media reports of daily suicides for debt. The current economic crisis is as visible in big cities as it is in the smallest towns, with many shops closed and few people in the traditional temples of the consumer. So how can Italian consumers save money? Technology consumers are waiting for newly announced, low-budget solutions from India. 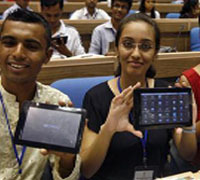 Wipro plans to come to Italian market with a tablet priced at of 20 Euros, and Aakash is marketing one at 30 Euros. Italians are also adjusting their lifestyles and behaviors. 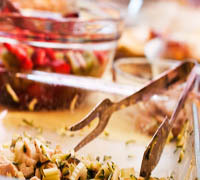 Bulk wine and olive oil are increasingly being purchased. La Vineria, a winery near Navigli, allows consumers fill their empty bottles directly from the barrels. New geo markets, selling zero-distance products from local farmers, are mushrooming day by day. There are private courts and gardens, like Solaresolidale of La Cordata, and community vegetable gardens that offer a new-food economy with an old-world way for growers and consumers alike to socialize and cooperate with their neighborhoods. New Italian businesses are also in a race to find solutions that cope with the failing economy. New habits and new ideas are considered more desirable if they’re green. 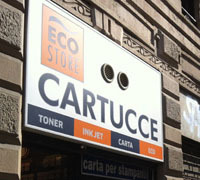 Eco Store has opened 300 points where the consumers can recharge ink cartridges. 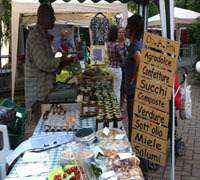 Mercatino dell’usato allows consumers to sell and buy second-hand goods in more than 200 retailers in Italy. Though Italian companies seem to fail to recognize the potential ecommerce sales, there are websites that do offer affordable services. One successful example is Il Marito agguistatutto, where users can rent “a husband [handyman]” by the hour for low-price home repairs.